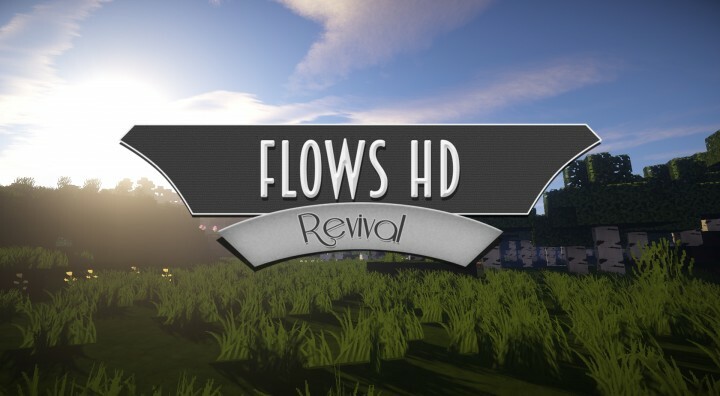 The Flows HD Revival resource pack is definitely one of the few packs that’d take place in the resource pack hall of fame if there ever was one for Minecraft. It’s one of the most beautiful and high-quality resource packs out there. Flows HD Revival manages to make Minecraft look splendid without actually changing any of the crucial details that define the game’s visuals. 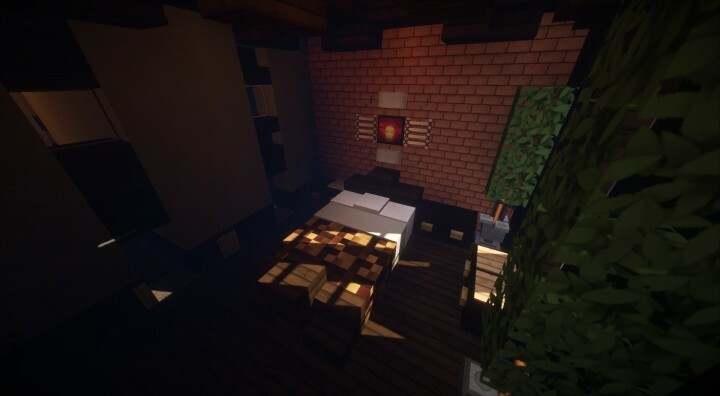 There’s actually quite a lot of history behind this resource pack. It was originally designed by ArtFlo91, and afterwards, it was kept up to date by Eisregen and Lukolaz. Now, after some time, the responsibility of keeping this pack up to date has passed down to Exeveium, who’s actually done a pretty good job. The art style that Flows HD Revival tries to go for is a modern and realistic style, and it does a phenomenal job of pulling it off. 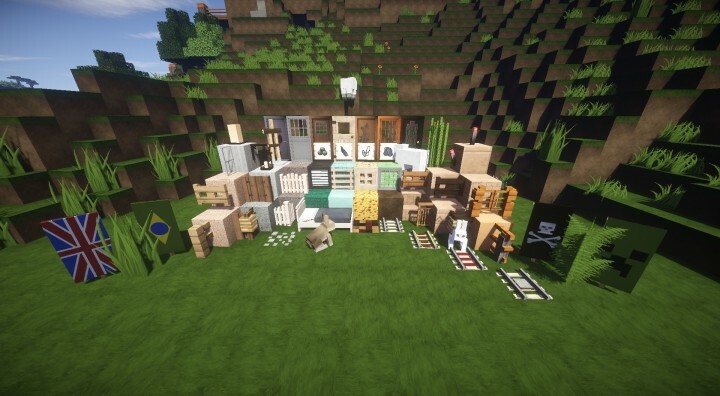 The textures look incredibly clear and crisp, they have very vivid colors, the items look super sharp, and all the visual aspects of the pack synergize extremely well with one another to make for a very pleasing visual experience. The in-game vegetation is especially noteworthy with this pack applied since it looks very realistic and is animated to look straight up stunning. There’s a lot to like about Flows HD Revival resource pack but without a doubt, its biggest highlight is how versatile of a pack it is. The default version is x128, but there are multitudes of different variants available that players can choose from according to their preferences. There are also multiple kinds of add-ons that can be applied on top of the regular pack to enhance the experience to a whole new level. Added better mycelium, podzol, grass & path block. How to install Flows HD Revival Resource Pack? 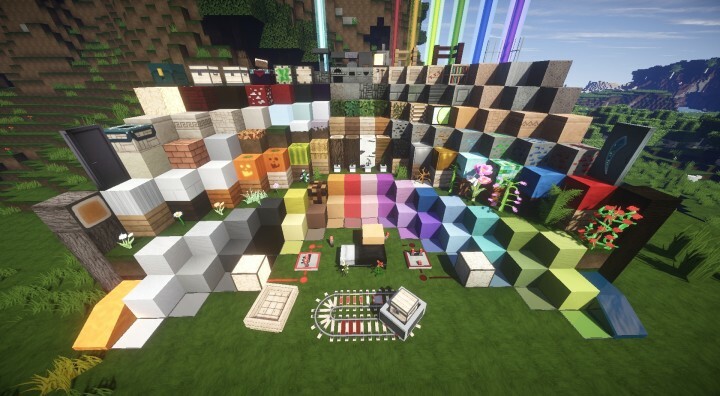 Flows HD is a sensational resource pack that simply doesn’t cease to impress. 128×128 pack looks awesome…..except the clouds. They are pixelated and blotchy. Help? It’s a familiar problem. The only real solution would be to include huge textures for clouds, which would be an option tho. Just click the ‘Skip Ad’ button in the top right corner and it’ll redirect you to the download page. Does it include the shades? No, it doesn’t. It’s the SEUS (Sonic Ethers Unbelievable Shaders) shaders, which you can find on Minecraftforum.net. how would someone with a crappy computer get good shaders? Google for Minecraft lite shaders. You should get a list of popular light shaders, that don’t eat too much performance. I downloaded it and unziped it in my minecrzft folder but it wont show in the resource pack in minecraft settings. Do you know what i can do about it? You don’t have to unzip it. Just paste the .zip file into your /resourcepack folder, and it should be all good. Alternatively, you can unzip the pack into a new folder, just make sure assets, pack.mcmeta and pack.png are the first thing you see when you open the folder. Thanks a lot. That helped ? This was in the 1.11 section of MineCraftSix but none of your links are for 1.11 – will this work on 1.11? Does it work when you download it on an iPhone? If you’re playing on MC:PE, you need the PE version of any texturepack. This isn’t, but Google probably knows where to find one that is. LOLZ I NEED 1.11.2 PLEASE!!!!!!!!!!!!!!!!!!!!!!!!!!!!!!!!!!!!!! !